We help you create and give easy and fast access to digital publications, documents and presentations that you already have and produce. 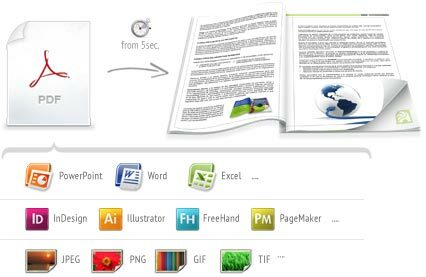 Our virtualization solution is capable of converting any PDF-file into a digital publication/document in a matter of minutes, making it faster and easier to access and consult through a simple URL without the need of downloading. 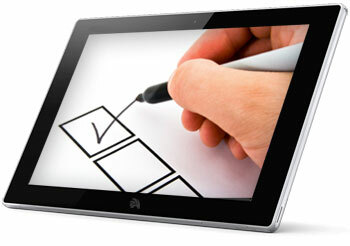 We provide a premium viewer for the consultation of documents, presentations and publications. Our easy to use management system provides multiple enrichment options for your content that guarantee improved interactivity and reduce un-subscription rates. We provide a simple system for creating indexes with sections and subsections that provides fast and easy navigation in larger publications and documents. Something which is very important on all devices and essential on tablets and smartphones. 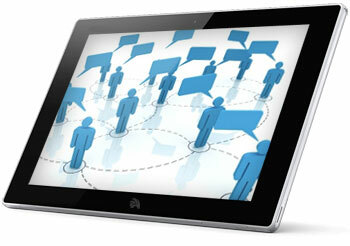 We provide different methods to access content and allow access from any channel, support and device. We facilitate the administration of groups and types of content based on separate accounts, which allows unified administration, separate access and management by functions and departments. BHybrid is the only system on the market that differentiates between individual and periodical content which enables a much more efficient processes for creation, publishing and analysis. The virtualization system allows content to be uploaded and kept restricted until it is ready to be published. 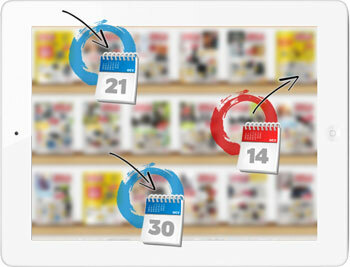 Once it has been published, you can upload new versions allowing quick updates in a simple and convenient way. BHybrid is the only system that offers specific tools for managing different editions of the same publication and facilitate its creation, management, access and archive organization. Whether you have publications for subscribers or have to distribute sensitive content, HybridPublication's platform allows you to protect it and control who has access to it. 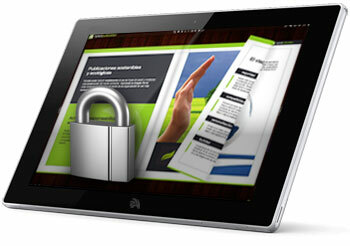 No need to worry about enabling access to new content, or disabling access to expired content. Our system allows you to manage professional collaborations on your content with any designer and advertising, media or communication agencies, helping to validate and manage your content and analyze the results. Thanks to this modern, elegant and fast system, PDFs that require a download are now a thing of the past. 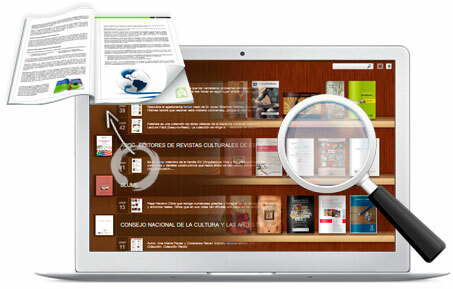 Any person without technical know-how can manage the digital bookshelf system and create, customize and fill one or more shelves with content in a matter of minutes. 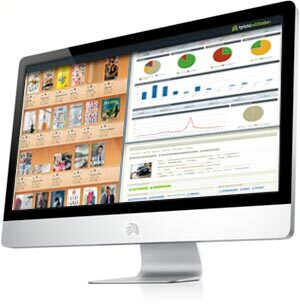 It is also very easy to manage content publishing in one or several bookshelves without relying on anyone else. The system makes it easier to publish the same or similar content in one or dozens of places without needing to have the same file in different locations. Any person without technical know-how can create, design and select content based on publications and documents, saving time by automating the publishing process. 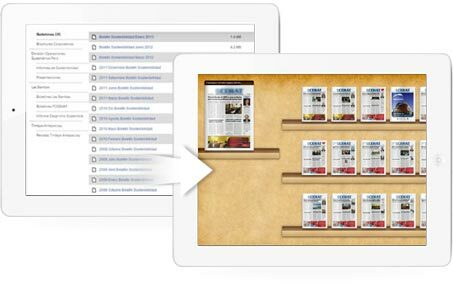 With our platform you can search a group of publications or documents with a single click. Our revolutionary system allows you to find any content in a few seconds and it gives you access to specific pages where the text is located. 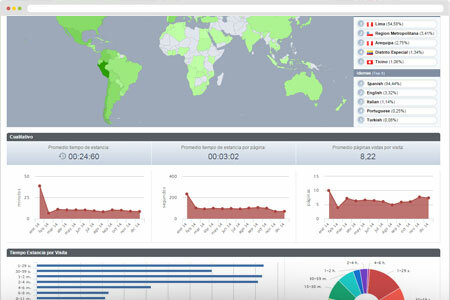 Our self-developed analytics system allows you to automatically capture data regarding the use of your content, visitors, geolocation, devices used and the channels from which the content is accessed and more. The reports includes and presents information that will give you new data concerning your stakeholders and contacts making it easier for your managers and sales representatives to take better decisions based on actual facts instead of assumptions and more vague criteria. To manage content is not the same as only virtualizing it and that's why we have developed a series of services specifically designed for the administration of content, from the point when they are only an idea until they are to be archived, that is an efficient and smooth experience. It can be used by one or more users which is different from other systems and it allows you to delegate tasks and manage different permissions in order to optimize your internal processes and responsibilities. Delegate tasks without losing control of the content.